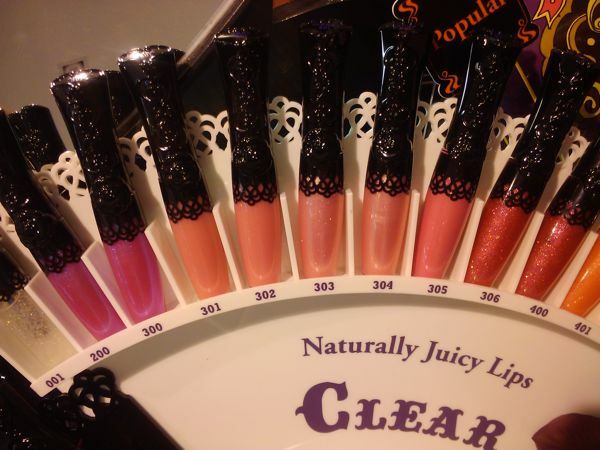 Here are some pics of the colourful Anna Sui promotional area at the Sephora store in Ion Orchard! 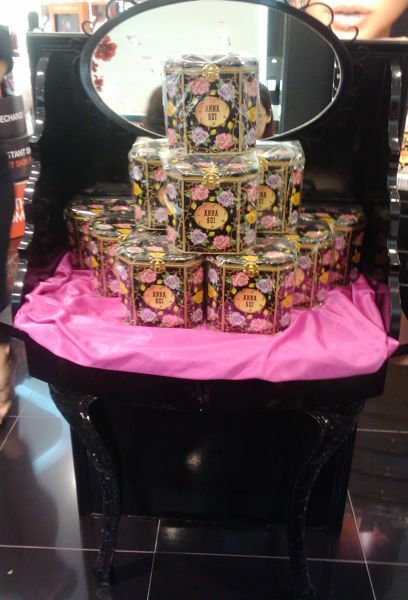 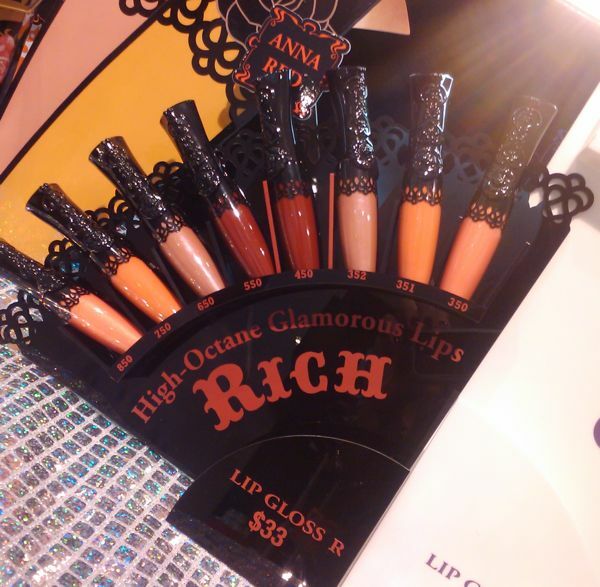 The Ion store is the only one carrying Anna Sui at the moment. 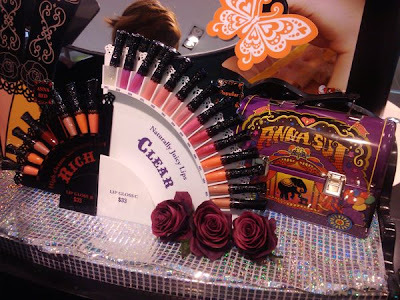 The purple metal case is the gift with purchase of S$120. With any $80 purchase, you can also purchase this limited edition tin case for only $16. 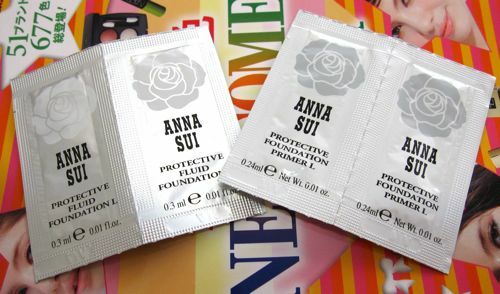 These are the foundation and primer samples that you can receive simply by saying the tagline "Shine Like A Movie Star with Anna Sui" at the counter. 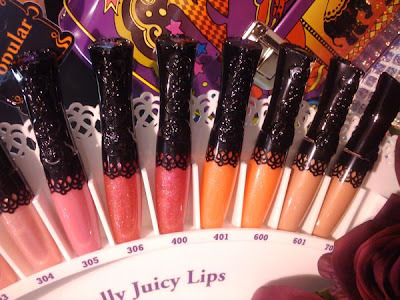 The foundation sample is in the shade B02. 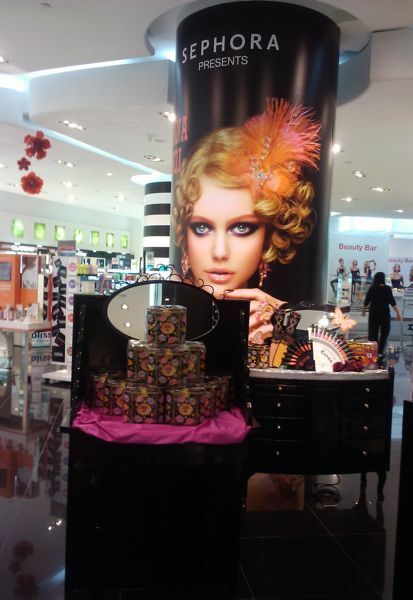 The promotion is on until 19 January at Sephora Ion.